This overall view of the Battleship NJ takes guests 5 levels up and two decks below. The Main Deck features an Exhibit/ Museum that encompasses the 48 years in and out of service. 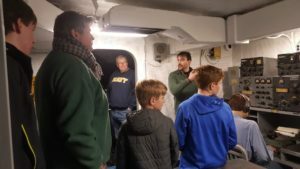 Guides are available for questions and conversation in the Captain’s Quarters and CEC. Active Military, World War II Veterans and former Crew Members of BB-62 are asked to stop at the Box Office in the Battleship NJ Visitor’s Center. Proudly inform our Ticketing Staff of your service to our Great Nation and receive a complimentary ticket to board the “Big J”. Children 4 & under are free! Visit Ticket Office for complimentary ticket. Fire Power tours include an audio device with narration throughout the tour as well as former crew member’s accounts of events and sound effects. Available for a $4 upgrade when you use a combo ticket. Firepower tour tickets are available to use at any date and time we are open for tours. 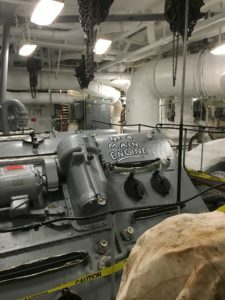 This 90-minute tour of the Battleship’s engine room will show you where the ship’s engineers controlled the boilers, propulsion shafts, damage control central and more. 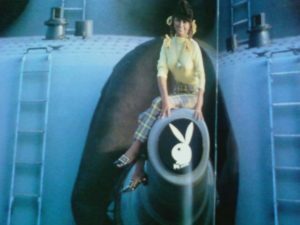 Learn how the Battleship achieved up to 33 knots, or 38 mph. Ages 6+. Tour limited to 15 guests. Steam to Speed Tours launch Saturdays, Sundays and holidays at 1:00 PM. Turret II Tours launch Saturdays, Sundays and holidays at 11:00 AM. Sightseeing in Philly? 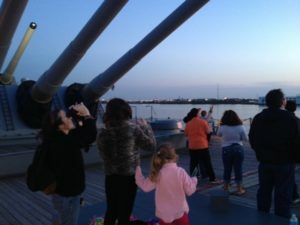 Create your own Philadelphia experience, including Battleship New Jersey. Save 40% or more on admission and skip most ticket lines with Philadelphia CityPASS. Visit any 3, 4 or 5 of Philadelphia’s 12 most loved attractions over a 9-day period, in any order you wish. No need to decide now, choose the attractions as you go. Cost starts at $49 (adult); $34 (child 3-12). PURCHASE ONLINE TODAY! You will immediately receive mobile and printable tickets by email.